Woah! This Cadillac XTS Premium is PURE luxury! 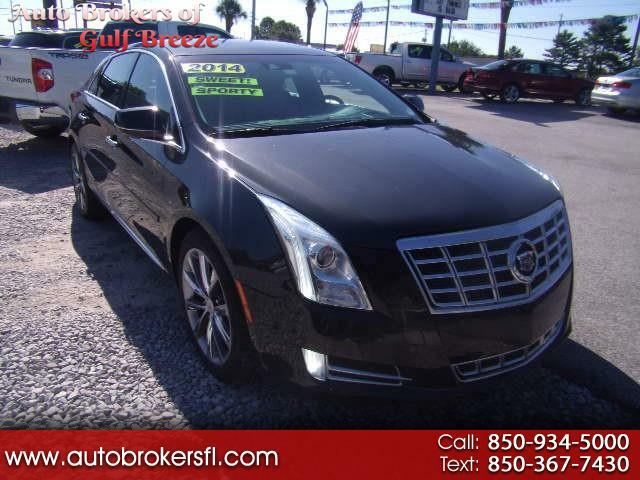 It's loaded with: Leather seats, moon-roof, AM/FM/XM Radio, Cadillac CUE System, Heads-Up Display, Back-up camera, Power windows, Power Seats, Power Locks, Power Mirrors, all run by a Powerful V-6!!! TEXT: 850-367-7430 OR CALL: 850-934-5000. Operating for over 25 years in beautiful Gulf Breeze, Florida. No overhead allows us to off top quality vehicles priced thousands below market average. Auto Brokers is proud to have the same license and bond since the early 80s, doing business in a close niche community. No Negatives from the Better Business Bureau. We specialize in One Owner, personal lease cars. Please visit us at www.autobrokersfl.com to see more pictures and get additional information. You can Apply for Financing on our website, get directions and more. Call JR or Brad at (850) 934-5000 with any questions or to schedule a test Drive Today. We Buy, Sell and Trade for anything of value "Acres to Zebras." We seriously consider any reasonable offer.